For those involved in any type of exercise, weight training, cross-training, endurance sports, etc., the value of proper sleep and recovery is imperative. It has everything to do with the end result you are looking to achieve. 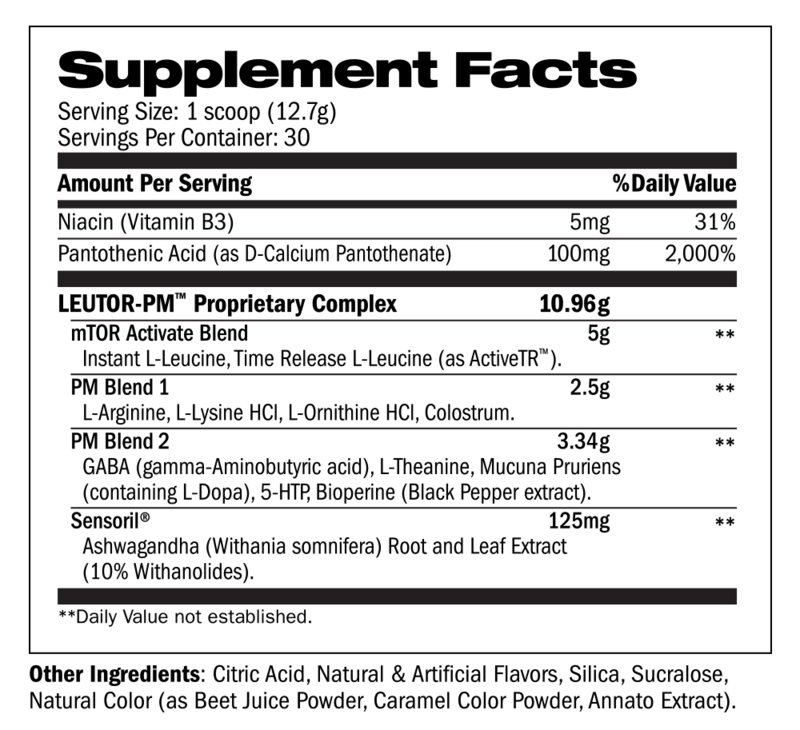 Now you can harness the benefits of L-Leucine while you sleep like a baby with LEUTOR-PM™. 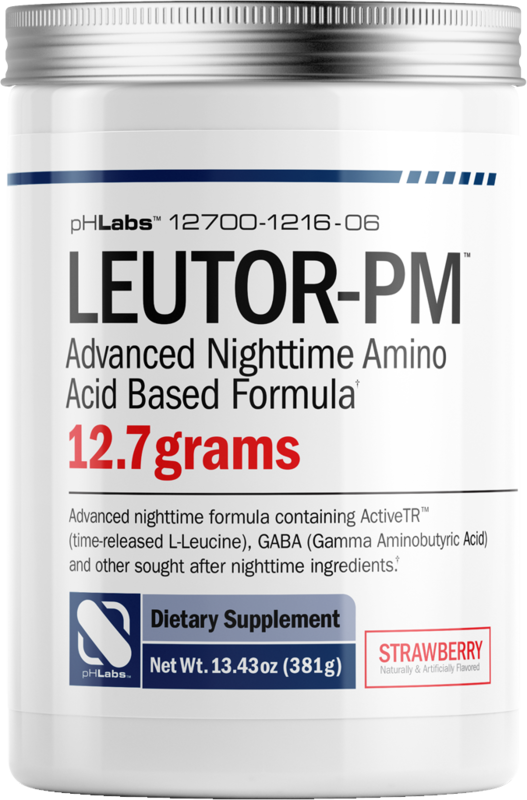 LEUTOR-PM™ is an advanced, nighttime formula containing ActiveTR™ (time-released L-Leucine), GABA (Gamma Aminobutyric Acid) and other sought-after nighttime ingredients. Train hard, eat proper and get some ZZZZZZZs! SUGGESTED USE: Mix 1 scoop (12.7 grams) with 6–8 ounces of water, 30–60 minutes prior to bedtime on an empty stomach. WARNING: This product is only intended for healthy adults, 18 years of age or older. Keep out of reach of children. Please consult your physician before taking if you have any pre-existing medical conditions or are taking any medication. Do not use if you are pregnant or nursing. Certain individuals may experience a tingling sensation accompanied by deeper/labored breathing after consumption. This reaction is normal and usually subsides within 5–15 minutes. Never drive, operate machinery or tools, or attempt tasks demanding attention or alertness after taking. Discontinue use and consult your healthcare professional if you experience any adverse reaction to this product. Do not use if safety seal is broken or missing. Store in a cool, dry place. Packed by weight not by volume, settling may occur.